In a lecture by His Grace Nityananda Prabhu, the following question was posed: “How do we balance the spiritual and material aspects of education in the gurukula?” His response was insightful and thought-provoking. 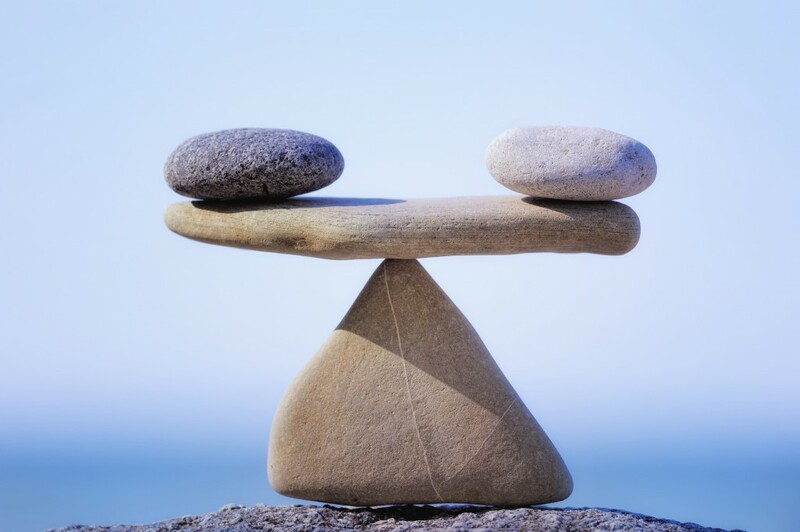 It is not a question of balance, he replied, but a question of integration. Krsna consciousness can be integrated into any subject being learned, because Krsna is everywhere. In other words, the two aspects of education are not mutually exclusive. That being said, my goal for this past year was to find some connection to Krsna, while covering all grade-level educational objectives. It is with this goal in mind that the Upper Elementary Class applied five over-arching themes to our studies throughout the school year. As there are five subjects to the Bhagavad-gita – Isvara (God), jiva (the living entity), prakrti (nature), kala (time), and karma (action) – so each term had its own theme. Everything we learned in class was tied back to the theme of the term. In addition to constant assimilation of Krsna consciousness into the curriculum, students also had opportunities to partake in activities exclusively dedicated to Krsna. To this end, students attended a daily sadhana morning program with Mother Gopi Gita and a Spiritual Friday program at the end of each week. 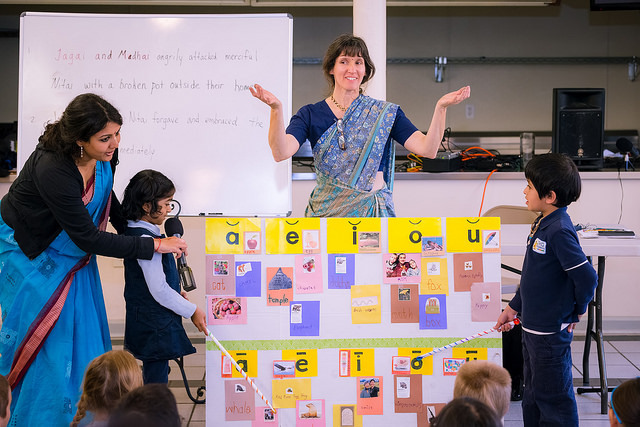 In this class students chanted japa, learned the bhajans of our Vaisnava acaryas, bathed and dressed the deities, and prepared presentations for selected festivals. We also read a wide variety of Vedic literature. This year in our class, we continued our study of Bhagavad-gita As It Is by His Divine Grace, A.C. Bhaktivedanta Swami Srila Prabhupada. In addition to systematically studying the Bhagavad-gita with Mani Mandala study guides and memorizing verses, students read and discussed the following selected works: Nectar of Instruction, Bhakti Bhava (by His Holiness Devamrta Swami), and selected stories from Sivarama Swami’s Nava Vraja Mahima. Finally, students had the great fortune of attending weekly leadership classes with His Grace Nityananda Prabhu, wherein they learned how to become leaders and train others in becoming leaders by virtue of their knowledge of transcendental subject matters. We are very fortunate to be able to learn and teach in a school that offers such a comprehensive approach to the acquisition of knowledge. It was an amazing year, and we pray to continue growing spiritually and trying to see the world through the eyes of sastra.